Well, that was it, folks! The last day of MWC 2012 is already behind us, as much as we wish we could spend at least a few more minutes browsing through the floor. It was a relatively quiet day, with no major announcements and not many gadgets left to get our hands on. 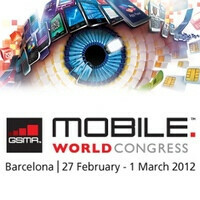 However, we do have quite a few MWC 2012 related posts from today that are worth checking out. And just like we have been doing for the past several days, we have put them together in one place for your convenience. Feel free to check them out, and in case you have missed anything from the past few days, here are our MWC 2012 recaps for day zero, day one, day two, and day three. HTC admits Sense UI "got cluttered"
Is it just me, or was this a relatively boring year for phones at MWC? agree... Due to both Moto and Samsung weren't participating. I also agree with that. Although it was great to see two popular China manufacturers like Huawei and ZTE to create a couple of very impressive high-end smartphones, MWC also missed two popular manufacturers to show off what they were developing. Well, you got to take the good with the bad. Had samsung shown up with a quad core exynos SGS3 in hand, no one would have payed attention to the monster that Huawei showed off. The whole event would have been overshadowed by samsung. Because of their absence (and moto's too of course) it allowed companies that we would not have otherwise payed attention to, to have space to wow us. I dont know about u, but Huawei wasnt even a blip on the radar until now. They are now a dark horse for my money. Dark horse for sure. Can't wait to see what they have up their sleeves next. A15 quad core stock ui huge gpu huge battery is what i am thinking. If they get access to some super amoled+ or IPS screens, keep it stock, dual channel memory (at least 1.5gb) + A15 quadcore, a fat battery life, and a promise that updates will be the fastest around.... they will give samsung a real run for my money.